Is Wealthy Affiliate a Scam? Is It Really #1 Product out there or just a waste of time? Hi folks and welcome to my website. It’s not just another product review site you come across online. I don’t just review products, I also help my visitors by creating helpful content on different topics related to website, optimization, improving conversions, email marketing, social marketing, video marketing. And yes, I’m a member of Wealthy Affiliate. I’ve been a member of this online business community since 2013. 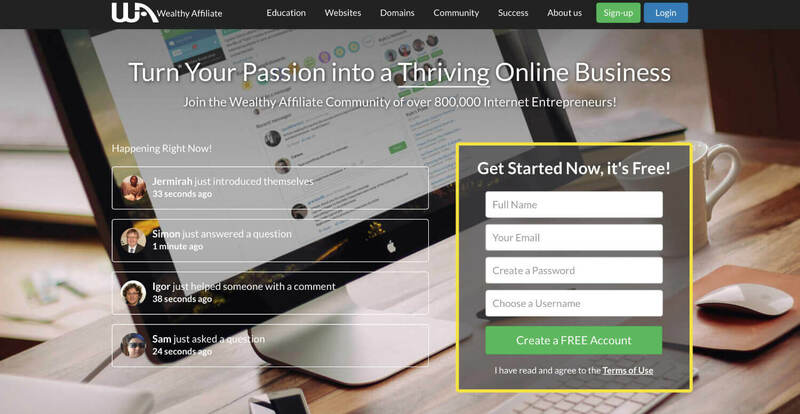 Recently I’ve come across some sites, blog comments, reviews about Wealthy Affiliate and decided to write a completely new review of Wealthy Affiliate. I decided to do so to answer those who slander about Wealthy Affiliate and also help newbies to make the right decision in regards to WA. My post will be a bit long because I’m going to discuss a lot of things I’ve never discussed before. I’m not going to go into details about Wealthy Affiliate training because I already discussed it in my other articles. For more specific details and proof you can read this article. I came across a couple of threads about Wealthy Affiliate on Warrior forum and also on James Scholes website (the creator of Evergreen Wealth Formula). I don’t want to put any links here because I don’t want to hurt anyone’s feelings. Just go to http://www.james-scholes.com/ website or https://www.warriorforum.com/ and enter the search term “wealthy affiliate” into the search box and you will find the info I’m talking about here. I can only say that the arguments that I read on Warrior forum are not strong at all. They are simply laughable. The reason for writing this review is not only because I came across some slander about Wealthy Affiliate on those sites. I want to make everything clear and discuss openly everything related to internet marketing in general, internet marketing products, especially Evergreen Wealth Formula and Wealthy Affiliate. And I invite everyone to read my post and share their thoughts. I ALWAYS approve all comments on my website. I disapprove only rude comments. I’ve never disapproved any comments on my site only because I didn’t like them. NEVER. If you are rude I will disapprove your comment! If you want to discuss things I’m open to everyone’s discussion. Before I start talking about internet marketing and internet marketing products I want to clarify some things regarding Wealthy Affiliate. What is Wealthy Affiliate? Is it worth joining? Does Wealthy Affiliate still work in 2017? Let’s discuss it without any preconceptions. First of all, Wealthy Affiliate was founded back in 2005 and since then it has been helping people build an online business and make money. For some members it’s an extra income opportunity while for others it’s a full time opportunity. Not everyone can achieve the same level of success which is very normal for any make money program. It’s true for Wealthy Affiliate, it’s true for Bring the Fresh, It’s true for Sitesell, it’s true for Evergreen Wealth Formula. I mentioned James’ Evergreen Wealth Formula because I’m going to discuss his program too. When it comes to Wealthy Affiliate I’ve been a member of this community since 2013 and I know what I’m talking about. 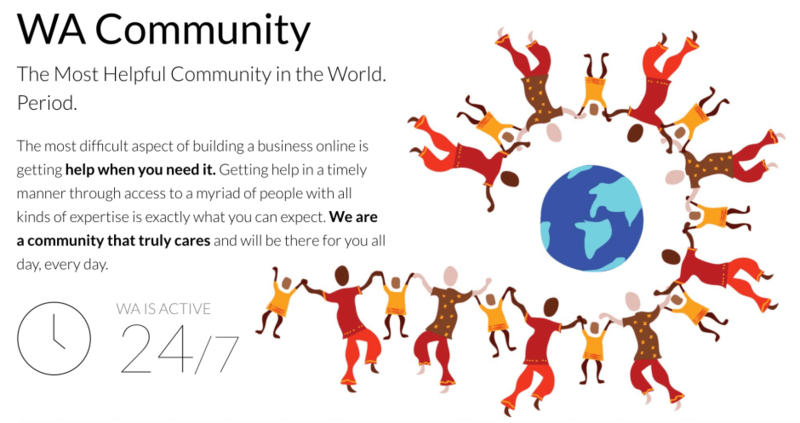 The community is very helpful and you can make connections or friends with many experienced entrepreneurs. Most of them are very friendly and helpful. There are many members that are making money using the strategies WA teaches them. Some of them are making a few bucks per month, some are making a few hundred bucks and some members are making several thousand dollars per month. I’ve seen many success stories since 2013. Only those members are making money that don’t give up too soon. Because internet marketing requires effort, dedication and patience. It’s true for ANY program that claims to teach you how to make money online. If someone claims that he can teach you how to make several thousand dollars in 30 days they are simply lying to you. Believe me, I’ve seen many such products. The best part of Wealthy Affiliate is that you won’t find such claims on Wealthy Affiliate website. Please go and visit wealthy affiliate.com and show me the places where creators of WA promise you to make thousands of dollars right after joining WA. You won’t find such statements, such as “you will be making $30,000 in 30 days” or “This little trick will make you $1000 a day”. All you will find on WA website is the screenshot below. It says: What is your idea of success? $10 a day? $1000 a day? and there is an answer: This is possible. Kyle, the CEO of Wealthy Affiliate doesn’t say: “You will be making $1000 a day” He says: It’s possible. And this is true. Then he says: “You will not fail IF you don’t give up.” This is true too. This approach is very different from many other programs that I’ve seen online. Most of them make unrealistic claims and promises and can’t fulfill them. This is unfair. You really must be accurate with your statements. Don’t lie to people. Give them realistic promises and they will love and respect you. BTW, look at my Wealthy Affiliate review. 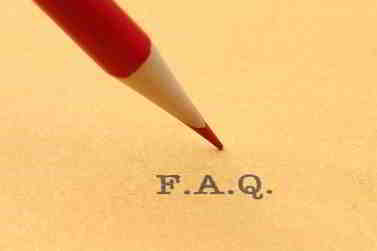 I the FAQ section of my review I clearly say that WA doesn’t give any guarantees as to how much money you can earn. In another place of the same review I again put the same warning with bold letters that says the same thing. Take a look. And this is what I learned from Wealthy Affiliate – to give people realistic promises. My personal approach to things is not much different from what I learned at Wealthy Affiliate. I always do my best to be honest when writing reviews though I’m not perfect. Anyway, I will discuss it later. Option 1. You can choose a niche based on your interest or hobby and build an online business based on your passion. This is the best option for anyone starting their online career. This is done through WA Certification Course. Option 2. You can choose to promote Wealthy Affiliate to other people. This is done through WA affiliate bootcamp. When I joined WA back in 2013 I wanted to start a travel and hotel reservation site like I did it back in 2001. Then I decided to promote WA because I already had an experience in making money online. This niche was not new for me and I liked it. Reason 1. This niche is highly competitive and requires a ton of effort to get ranked on Google. Reason 2. If you don’t have any experience in making money online this niche IS NOT for you. The best part of Wealthy Affiliate is that they teach you to provide value through creating high quality content. It can be any type of content: tutorial, guide, product review, case study. You can find very few programs that teach you how to create high quality content. One of such programs is SiteSell that has been online since 2000. In order to achieve success at Wealthy Affiliate you get high quality support through email, private messaging and live chat. You can get support from many experienced successful internet marketers as a member of WA. You get websites, hosting, keyword tool. Everything is included in the price. There are no upsells whatsoever which is really great compared to many other programs. At Wealthy Affiliate you can find a ton of training on SEO, social media, paid advertising (Facebook, PPC), email marketing, video marketing, creating and marketing content, website customization and optimization, local marketing, improving website conversions etc. Generally speaking, there is nothing serious to complain about at Wealthy Affiliate. But WA is not perfect and some people leave it and continue their search for other shiny products. The training is always up-to-date so you can get the best results possible for your online business. Types of internet marketing products and is Wealthy Affiliate still effective in 2017? Some internet marketers, especially from Warrior forum are of the opinion that Wealthy Affiliate is a scam. They think that WA doesn’t work, the training is outdated. Of course, this is not true. As I said above, I’ve seen many WA success stories since 2013. All WA members did was following WA training and taking action on it. I’m making money thanks to Wealthy Affiliate too. Here is my proof. Second proof. There are different types of internet marketing or affiliate marketing programs in online space. It can be an independent internet marketer, such as James Scholes from Evergreen Wealth Formula or it can be an online business community, such as Sitesell, Wealthy Affiliate, Bring the Fresh etc. I tried many products in the past from independent internet marketers and they didn’t work for me. When I tried Wealthy Affiliate it worked for me very well thanks to a ton of training and super helpful and responsive support. From my experience I can say joining such a community gives much better results than joining an independent internet marketer. Simply because getting help and support from a large community is much easier than from an independent internet marketer. When it comes to internet marketing programs, generally speaking there are several types of them. I mean major ones. 1.Internet marketing products that mainly teach affiliate marketing through email marketing. They teach other methods too but email marketing is their main focus. 2.Internet marketing products that mainly teach affiliate marketing through paid advertising. They teach other methods too but paid advertising is their main focus. 3.Internet marketing products that mainly teach affiliate marketing through selling high ticket products. 4.Internet marketing products that mainly teach affiliate marketing through SEO and other methods, such as paid advertising and email marketing, video marketing. But SEO is their main focus like with Wealthy Affiliate. What is the difference between all these products/programs? First of all, most internet marketing products from independent internet marketers that I’ve seen so far mainly focus on email marketing. It’s not surprising because money is in the list and everyone involved in internet marketing know about that. But the main problem with all these products is that creators of these products make unrealistic claims, such as “You will be making $500 a day or $2,000 a day or “you’re going to build a full time online business in 90 days”. The truth is that VERY FEW people can achieve such level of success and this is our reality. Because what for experienced internet marketers may seem simple is not such for many other people. I don’t want to say that email marketing doesn’t work. Not at all. I only want to say that you shouldn’t give promises you can’t fulfill. When you make such claims and people can’t achieve that level or even less than that you look like a liar. I never give such promises on my site and I’m proud of it. I don’t want to give people unrealistic promises. Plain and simple. It applies to almost all products that I’ve seen so far including Evergreen Wealth Formula. The product is absolutely LEGIT but still it’s not free from such promises. I know James put real testimonials on his website from his successful customers. But why didn’t you put testimonials from unhappy customers too? Or do you want to say all or most of your buyers are making $500 a day? It can’t be true! That’s why it’s always recommended to avoid such promises. I don’t want to say that James is a liar. Not at all. I know that internet marketers make such big claims because they want to get more conversions, more sales. I understand that. Sending someone an email that says: “You will be making $500 a day with this simple trick” will give you way more conversions and sales than saying “You will be making at least $20 a day” with my simple trick.” I perfectly understand it. Since my first day of joining WA I’ve never seen such promises. And also very often I see that independent internet marketers give promises of instant wealth and I can’t agree with their approach. They promise folks to start making money in 30 days or even in 10 days or so. They try to persuade them that making money using their method is super easy. This is not true. Making money online is super difficult. No matter what you do: email marketing or SEO or paid advertising or video marketing. No matter! Everything takes effort, dedication and hard work. There is no such a formula as 1,2,3. Just copy and paste my success and you are done. It will never happen! Second type of products focus on paid advertising. Most of them too make big claims though reality is different. First of all, this method requires a solid advertising budget and you can easily waste all your budget and get zero results. Most of the time they promise that you can easily make thousands of dollars with one simple ad but in fact it doesn’t work that way. It requires a ton of effort and time and BUDGET. The third type of products focus on high ticket products using both MLM and non MLM methods. I hate such programs because they are mainly designed to empty your pockets and leave you completely frustrated. These programs don’t provide real value. Their only goal is to sell you a high ticket product and then persuade you to persuade other people to buy the same product so you can earn a fat commission. Most of the time these programs don’t work and most people fail. 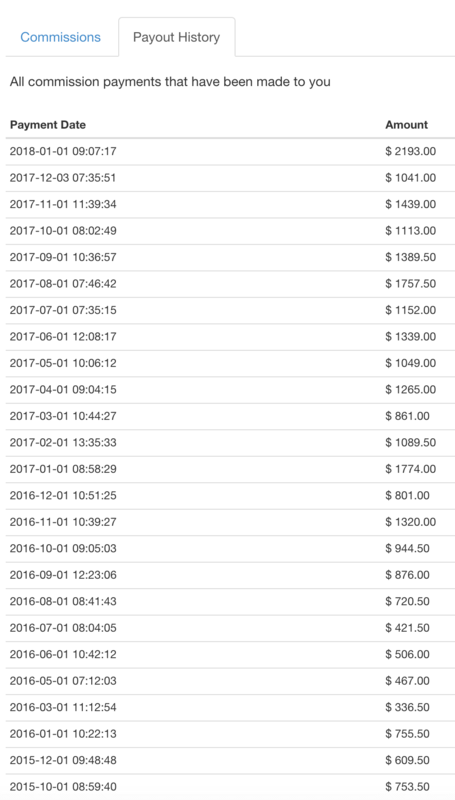 A friend of mine joined such a program called SFM ( Six Figure Mentors) and wasted all his money. Read his message to me and you be the judge. Finally, the last type of internet marketing product mainly focuses on SEO which is Wealthy Affiliate. As I said above, they teach other methods too, such as video marketing, email marketing, paid advertising, social media etc. But SEO is the main focus of this program. I see that other internet marketers, especially from Warrior forum claim that Wealthy Affiliate doesn’t work or it takes months to rank your content and start making money. The truth is that everything related to making money online or in real life takes time and effort. Paid advertising requires effort, time and budget. Email marketing requires budget, time and effort. You can’t get a ton of subscribers in one or two months. SEO also takes months. I know. But at least, SEO is the best source of traffic after email traffic. SEO is absolutely free and SEO still works! My main income comes from SEO. Part of my income comes from CPA, PPC. Income that comes from SEO comes thanks to your content because you provide value. I know that SEO requires creating content but it will pay off later and it will be paying for years. See my income proof. I always do my best to be honest when writing my articles or reviews. I’m not perfect. I may be wrong sometimes and I’m definitely is in some things. But it’s normal. No one is perfect. I always do changes to my reviews if I’m wrong. It happened several times on my site. I received comments from product owners showing my mistakes and after that I made some changes to my reviews when it was necessary. Once I made some changes to my SFI review, then Sitesell review, Instant Payday Network etc. 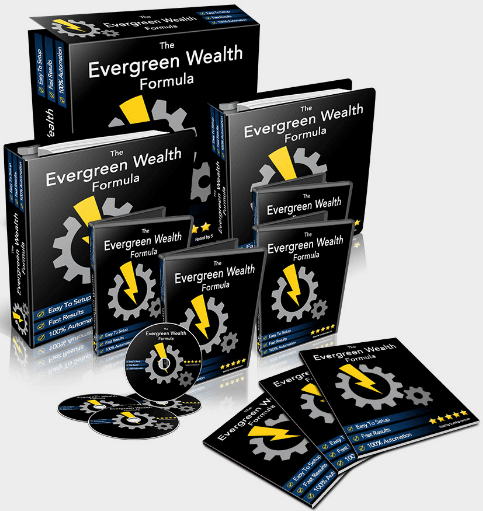 This time I made some changes to my Evergreen Wealth Formula review. BTW, my Evergreen Wealth Formula was positive from the first day. Then I made some changes to make it more realistic and honest. I don’t know why James put my picture on his blog and said that my review was wrong. From the first day I said that Evergreen Formula was legit and very solid product. I don’t know why you didn’t like my verdict? Why? Did you expect me to say that your product is the best product on the planet? Did you expect me to say that your product is the best product ever created? My review was very basic based on a ton of info available online on Google and Youtube. I know people who’ve tried EWF. For example, Simon from https://themakemoneyonlineblog.com. I’ve never said in my review that I purchased your product or tried it. And I don’t actually need to buy every single product to review it. The best way would be buying and trying of course. Anyway, it’s not a big problem for me. Because I know how to make money online. The most important thing is to give true verdicts. Scam is a scam. Legit is legit. I know that your product is legit and that’s why I gave legit verdict. If you write about watermelon and everyone knows that it’s sweet you won’t make a mistake or lie to someone if you admit that fact. This is what I do on my site. I’m very accurate when I write my reviews. Sometimes I buy products to review them but I can’t buy all products. There is a ton of reviews on the internet and before writing my review I do a lot of research. There are many products/programs but they all use the same methods, i.e. email marketing, paid advertising, SEO, social media, content marketing, video marketing. I know how to make a buck online and it’s not hard for me to understand if a particular product is good or bad, scam or legit. I don’t need to buy every single product. For example, there are thousands of binary options trading scams online and I don’t need to waste my money on each scam in order to review it. There are thousands of internet marketing scams, such as Online Home Jobs, Copy Paste Cash, Banners Broker, eMobile Code etc. I don’t need to waste my money on each of these low quality programs in order to review them. I don’t need to waste $7,000 in SFM like a friend of mine did in order to understand that SFM doesn’t deliver what they promise. Read another complaint from SFM member. Some members at Wealthy Affiliate buy almost every single product they review. It’s not fair to say that WA members copy their reviews from other blogs. It’s not fair. BTW, in my review I told that EWF had an affiliate program for EWF members only. But I forgot to mention it in my comparison table. James criticized me for that. I already changed it. Sorry for that. For example, when it comes to James’ Evergreen Wealth Formula I know that this product is solid and legit and I was not wrong when I gave my positive verdict. After that I made some changes to my review. BTW, James told on his blog that he left a comment on my review and I disapproved his comment. This is not true. I’ve never got any comment from James. Never! I always approve all comments on my site! I disapprove only rude comments. Is reviewing products taught by Wealthy Affiliate is unethical? 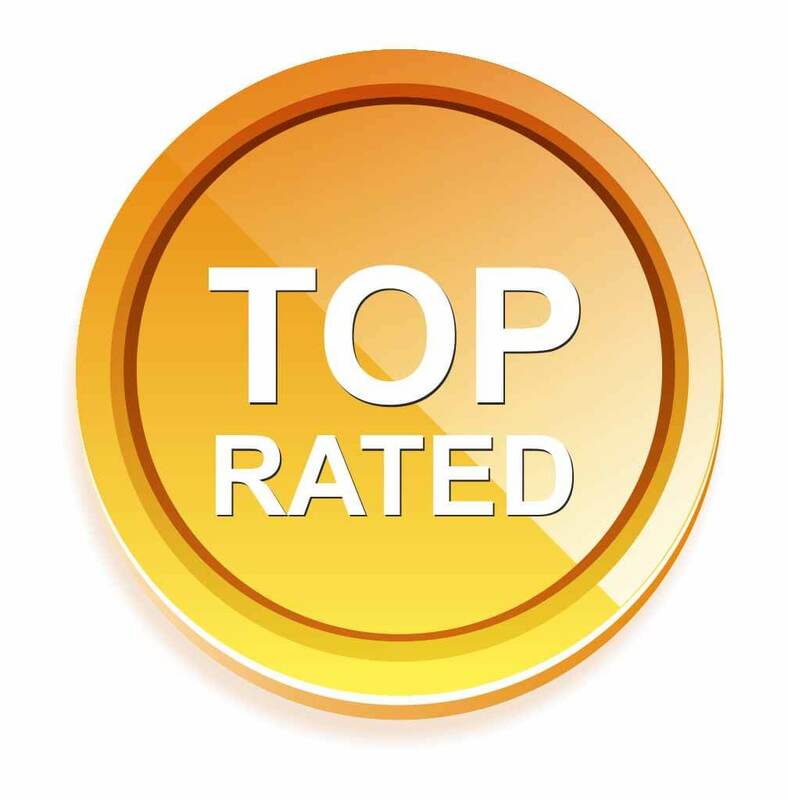 Some internet marketers from Warrior forum say that making money through product reviews taught by Wealthy Affiliate is wrong because we compare other products to Wealthy Affiliate and in the end recommend WA as our top recommended product. And they say that our approach is unethical. In my opinion, comparing one product to another product is not unethical. This is completely ethical. Nothing is unethical in this approach provided you don’t intentionally lie to people. If someone lies intentionally it’s not my problem. Wealthy Affiliate is not responsible for that. Let me explain how I give my verdicts when reviewing products/programs. If my reviewed product is a scam I give my visitors another chance by recommending Wealthy Affiliate. Is this unethical? Not at all! If the program is legit but expensive, let’s say $2,000 like Experts Academy then I admit that the program is legit. At the same time I give my visitors another chance by mentioning that WA is way cheaper and many people join it intentionally without any pressure. Is this unethical? Not at all. It’s their choice, their decision. If the program is and MLM I explain how MLM business is different from affiliate marketing. I explain that MLM requires selling skills, buying physical products and the selling them. Almost always I give my readers two options. I say that they are free to try MLM if they want and at the same time I suggest that they try Wealthy Affiliate before making their final decision. Is that unethical? Not at all. If the program is legit like Evergreen Wealth Formula, I again mention about Wealthy Affiliate and leave decision to the reader. It’s their choice to choose EWF or WA. I don’t put any pressure. I don’t say that EWF is a scam. I never bash any program only to promote Wealthy Affiliate. It’s simply unethical to call legit program a scam. I never do so. 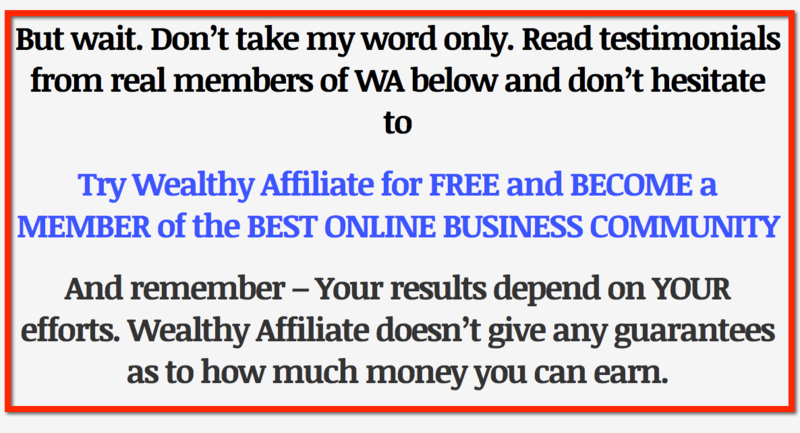 But it’s my right to give my readers a second chance by mentioning Wealthy Affiliate. Is this unethical? Nothing is wrong with this approach. 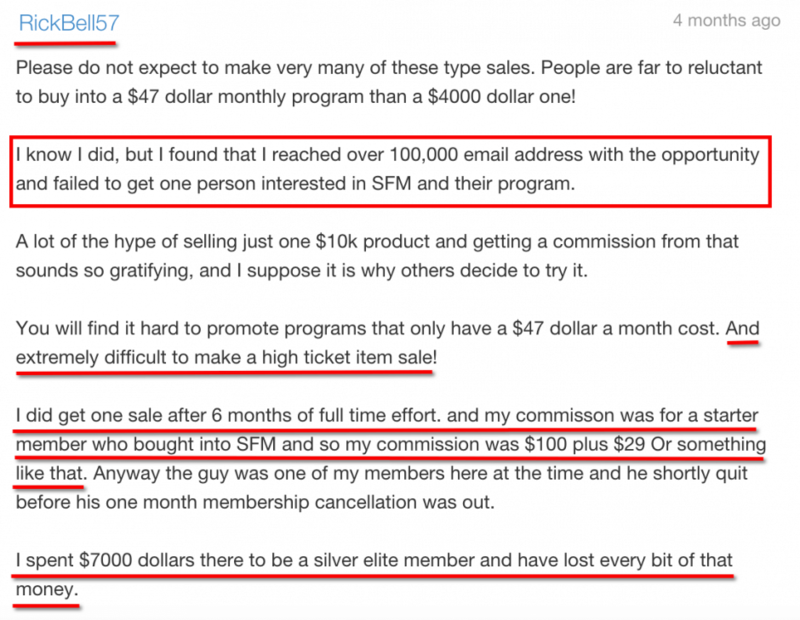 But I have to admit that some members at Wealthy Affiliate misuse this strategy and call every program a scam in order to promote Wealthy Affiliate. But that’s their own problem. It’s not my problem. I never do so. In fact, Kyle, the CEO of Wealthy Affiliate doesn’t teach to bash other products. He doesn’t teach folks to write fake reviews. He explains how to write product reviews. Some people understand it the right way while others misuse this strategy. I even once sent a private message to Kyle, the CEO of Wealthy Affiliate and asked him to create a separate training explaining to people that bashing other products for no reason is wrong and that they need to be more accurate when writing reviews. And in fact, you don’t need to bash one product in order to promote another product. You can simply mention another product as a second option. And this is what I do on my website. I always try to improve my writing skills and with each review I become more and more accurate. My 2017 reviews are different from 2016 reviews, 2016 reviews are different from 2015 reviews. I also know that some WA members don’t approve comments on their sites when they don’t like them. This is wrong. I know. But I’m not responsible for them. That’s their problem. Writing comparative reviews is not wrong. It is very normal. It depends on how you do it. You can do it the right way. You can do it the wrong way. Sending people multiple emails (email marketing) trying to persuade them that they can start making $10.000 in 30 days is wrong! And this is what most independent internet marketers are doing. I disagree with this approach. And they know very well that most of their buyers never achieve such level of income. And still those gurus send them multiple emails promoting various products every other day trying to persuade them that it’s super easy. No, it’s not super easy! Unfortunately, some people are angry with Wealthy Affiliate and call WA a scam. In fact, they perfectly understand that Wealthy Affiliate is not a scam. But I can’t do anything about that. My personal approach is different. I always try to build friendly relations with everyone. I don’t want to hurt anyone’s feelings. But it’s my right to recommend product B while writing about product A. My responsibility is to not intentionally bash product A for no reason. I never do so in my reviews. Otherwise I recommend product A and admit that it’s legit and even I recommend it. I also mention Wealthy Affiliate as a second option. Nothing is wrong with this approach. Nothing is unethical. No scamming whatsoever! Just giving people more options. This is how I see the situation and if it’s different from your opinion I’m sorry for that. I checked Evergreen Wealth Formula reviews on Google and came across many reviews done by Wealthy Affiliate members. Most of them admit that EWF is totally legit program. My verdict is NOT different from theirs. I don’t know why James is not happy with this? I also came across a review done by WebMarketSupport.com and I agree with James Scholes. That guy made some wrong claims. Another example is the review done by Amedu from https://theopportunityscout.com. You can find EWF review on his website. He also gave a legit verdict and I agree with his opinion. For the most part we have the same opinion in regards to writing product reviews. My conclusion is as follows: Wealthy Affiliate is not a scam. There is nothing wrong with WA teachings. If some people misuse strategies taught by WA it’s their problem. Wealthy Affiliate doesn’t teach people to write fake reviews. The community is friendly and helpful. I’ve seen many WA success stories since 2013. If you want to build an online business Wealthy Affiliate is a great place. The best thing about Wealthy Affiliate and why I love it is because you will never see unrealistic promises from the owners of WA. They don’t promise you thousands of dollars in 30 days like many other programs do. And that’s why reputation of WA in online space is positive. Some people hate WA but that’s their problem and it doesn’t hurt reputation, training or realistic approach of Wealthy Affiliate in any way. WA teachings still work and they will work for years. If you want to try it you can do so for FREE! If you have any thoughts or you tried WA in the past or are not agree with me on some points let me know what you think in the comment section and I would be happy to discuss it with everyone. The information was totally different.As a newbie, I totally agree your view about the wealthy affiliate.I came across lots of scams and I suffered from some of them.Thanks for the eye-opening article about wealthy affiliate. I am excited to know more details about wealthy affiliate and I follow you for future uploads. Once again thanks for sharing your thoughts and experience. Yes, I know that information is different and that’s why I decided to write my review based on my personal experience and to shed some light on the truth about Wealthy Affiliate. Because some people exaggerate facts or even distort them trying to convince people to join WA without understanding what they can expect from the program. Others are trying to bash WA and call it a scam which is not true at all. I hope many people will learn some real facts from my review because I really did my best to explain everything in details so they can know exactly what they achieve with this program and with the right mindset. I was a member of WA for well over a year. It’s definitely not a scam. You can learn how to make money online at WA. It’s up to the individual to do that. There were many things I liked about WA and some things that I did not like. Before I say anything else let me state that I made money as a member of WA. (email me if you want proof). On one of my best days I had over 13 referrals. I made much more money than the cost of being a member. So why did I leave. As I gained experience I decided that if I was going to be in an online business I wanted to own and control all of it. But the main reason I left was because affiliate marketing required more work than I wanted to put in. I went in another direction. I help local businesses improve their web presence. That’s where I am at now. So, do I think WA is a good place to start for new people. Yes I do. You can learn what making money online is all about at WA. IF,IF, IF you put your mind to it and realize that making money online is a lot of work. It took me 9 months, at WA, to make my first sale. It took so long because I was promoting MMO (make money online). A very competitive niche. Also WA is not the only good program out there or the cheapest. 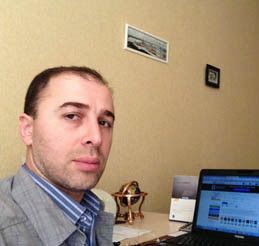 In my affiliate marketing day I reviewed many other programs. By reviewed I mean joined and stayed to work the program. There are other good programs out there. In my opinion one of the very weak spots of WA is choosing a niche. They state that if you can’t think of a niche in 15 minutes promote WA. .That’s a mistake. How can you honestly promote what you do no know. It’s a little self serving for WA. This blog honestly points out this flaw. Good job. However if you want to learn how to make money online and you have a niche you want to promote, WA is a great place to get started. But be warned, making money online is not something you play at you either go all in or go home. The writer of this review, although a member of WA, has done a fine honest review of WA. If you decide to join WA the writer of this post will be your mentor and greet you as soon as you arrive. A big plus. 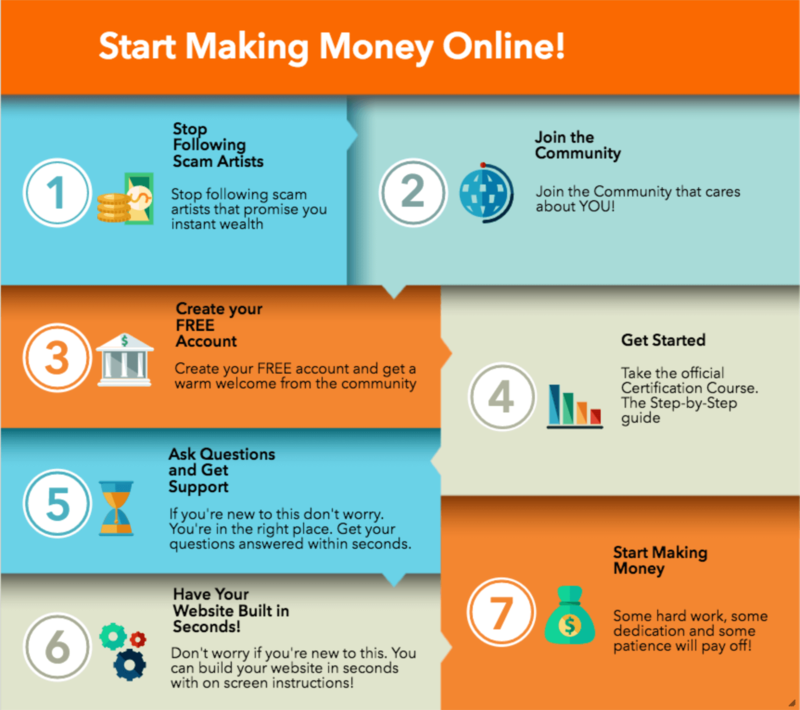 If you want to make money online do something and stop jumping from this to that. Commit, then stay the course. And as the writer says, if the post claims thousands in weeks or even months it’s probably a scam. Thank you very much Barry for your insightful comment. I really appreciate it. I think it’s very good that this kind of comment comes from someone who actually tried the program and I’m sure it will help others to make the right decision. This is true that making money online is a serious investment of your time and effort. If you treat it seriously you will get serious results. If you take it as fun and decide to spend 2,3 hours per week you won’t get any results. Or you will wait for years to make your first sale. I also agree that Wealthy Affiliate is not the only program out there but it’s one of the best programs in terms of being newbie friendly and provides a ton of support and training material. I’m also a member of three other programs. One is free and two others are paid. I also plan to join another program. I think in order to be successful online you must try several programs to learn from all of them. One program is not enough to be successful online. Thank you again Barry for your insightful comment. Hey Rufat. I am a new WA member and was looking for a few clarifications. I then stumbled upon your article here. I want to thank you so much for putting everything in the clear. And since I am also a member and am learning from the courses, I see now that WA is the way to go for beginners. I have been struggling to find a legit way to make money online and I’m glad I found WA. I can vouch that WA does not promote unethical practices. I also agree with you, that the foremost goal of our websites is to help people out and that there is nothing unethical to give people different options, especially, if what we have been using personally has been working for us. There is no reason not to put that in front of your readers because if it can help them, then you have accomplished your goal. I agree Reyhana. Recently I’ve come across some websites that claim that Wealthy Affiliate teaches people to write product reviews and bash other products and then recommend Wealthy Affiliate. But they do forget one simple thing. First we recommend WA because it’s an ethical program with a good reputation. We do not bash other products. We review them and give our opinion. There is nothing wrong in doing so. The truth is that they can’t create a superior product like WA and that’s why they don’t like our reviews. Because they can’t compete with WA. 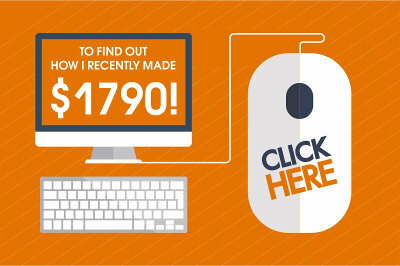 This is a really interesting site that talks about your journey with affiliate marketing. This resonates with me as I too was trying to make a living online through affiliate marketing for a long time, so I know how to spot a scam from the real thing. The good thing with Wealthy Affiliate is that you don’t just have the course outline, but lots of helpful people in the WA community to answer questions if you get stuck. That means a lot to me and hopefully yourself. This is what makes Wealthy Affiliate very different from many other networks/affiliate marketing centers. This is true. Whenever you get stuck just log into your account, post your question and sit back and relax. The answer will come in a few minutes or seconds. Sometimes it may take half an hour but most of the time it takes seconds. That’s why we love Wealthy Affiliate community because it was tailored specifically for beginners. This is compared to many other low quality programs that make a lot of promises but unfortunately provide zero value. I admire your ability of thinking deeply about the products or programs you’re reviewing. To write a very long article like this, takes an intelligent guy like you, Rufat. And also, it amazed me to see that you were able to categorized internet marketing programs into four according to their focus. These things were in my mind, but wasn’t able to categorized them orderly and in a very simple manner like you did. Salute for that, man. There’s one rule that I believe if followed won’t give us problem. And it is applicable for any program a person wants to market online, I mean any program. I believe, if marketers would only avoid claiming or promising readers something, especially in the make money online niche, then there would be no problem. Like what Wealthy Affiliate is doing… “No promises, no problems”.. right? I’m really glad Gomer you like my article. This is true and the best thing that I like about Wealthy Affiliate is that they never give people any unrealistic promises. Because this is wrong and unethical. Over the years I’ve seen many programs that made a ton of promises and their customers lost their hard earned money because they believed in their promises. Thankfully, when it comes to Wealthy Affiliate we have no such issues and that’s why I always feel very comfortable to recommend WA to my readers and visitors. wow wealthy affiliate definitely seems like the real deal when it comes to online courses teaching affiliate marketing. thanks to your review i know what to expect from the course and more importantly how to get the most out of the course which most reviews neglect. Hi Jacob. If you follow the WA course I believe you will be able to build your very own online business and become an expert in the industry. But remember that this program is not the only one that can help you achieve your goal. I showed some other legit programs. But if you are a complete beginner then I recommend to start with WA first. You will learn the foundation of building an online business and taking it to the next level. In my article I tried to be very realistic and explained clearly what you can expect from each program I’ve mentioned here. I hope you will succeed with one of them. Well it’s clear you know what you are doing. It’s a lot of text so maybe highlight some more. I really like your aprroach with no easy road for succes and it takes hard work. I got deep into your article and used more time then I normally do. It’s catchy but I am also interested in the subject. Bottom then your article is trustworthy but can be long for someone who just are passing by. I will take your advice. Thank you. I agree that my article may be too long but I wanted to get deep into this subject and make everything clear about writing reviews, wealthy affiliate and some other questions. I think for someone who is looking for the info on this subject will be interesting to get familiar with all this info. I don’t want to say that I’m 100% right but I believe what I’ve said here can help others to look at this problem from another angle. It’s true that the WA founders do not make false promises. They only say that you should work hard and not give up. But I must admit, it’s been tough for me. Maybe it’s only because I’ve just started? Been at it for about 2 months now. How long before you made your first commission? 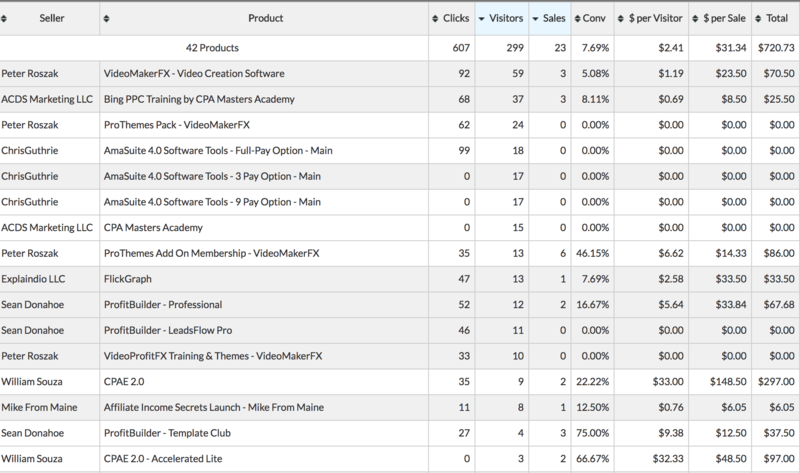 It seems so difficult to get website traffic – even just trying to consistently hit 30-50 visits a day is so difficult. This is what I am experiencing with my website. I seem to only get about 10-15 visits per day. It feels like I’ll never get the web traffic I need. That’s many people join WA because of their honest and realistic approach. And of course, I agree that it’s not easy to build an online business. It requires many skills not to mention hard work and patience. But it will pay off. It took me approx. 3 months to make my first commission. And yes, I agree that driving traffic to your site is the hardest thing. 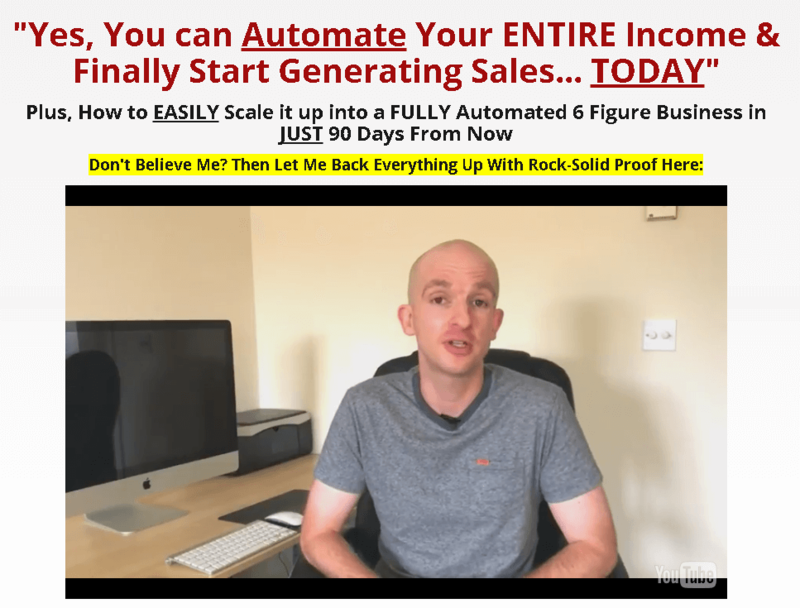 But once you’ve managed to do it you will be getting highly targeted free traffic for years and it will be making you money each and every month with no much effort from your side. It requires at least one full year of hard work to start getting 100 visits a day. Some people can even start getting 500 visits within the same period. « Is Michael Crawford the Quantum Code a Scam? Yes, It is.